Registration and Sponsorship Deadline: September 27th at Noon. Finish out the remainder of the year strong by working on your company’s ultimate business plan TODAY. Most “coast” through the last quarter and then by January 1st, they start working on their plan. The 90-Day Journey is the opposite: we'll focus on cranking up the last quarter and finishing strong with the goal of implementing your business plan at the start of the new year. Aaron will also focus on the largest buying sector that we will be working with, the Millennial Consumer. All attendees will receive the 90-Day Journey ebook, specific to the Realtor and the Mortgage Professional, after the event! Integration of video to your process. Video best practices. Do’s and don’ts. 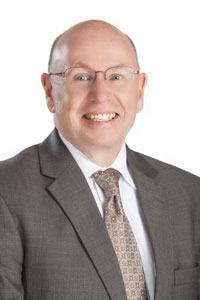 Tom started in the mortgage industry in October, 1980 Tom has been originating, managing and overseeing branches in Colorado since November, 1984. Through Tom’s career he has helped over 10,000 families with their purchase and refinance needs. Tom is the President of Summit Champions, a sales coaching company for the Mortgage and Real Estate Professional. He created the 90 Day Journey to your Sales Success-Realtor and Mortgage Professional Editions that each attendee will be receiving by attending this session. The Journey is designed to give the Summiteer 90 Straight Days of actions, tasks, and dollar-productive activities that will create a perpetual and sustainable business no matter what the economy goes through. The Journey has been endorsed by the Colorado Association of Realtors and top mortgage influencers such as Rob Chrisman. 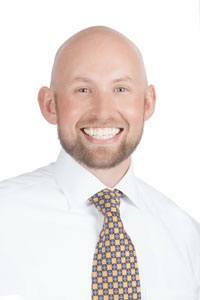 Aaron started in the mortgage industry at the age of 16 and receiving his Real Estate Brokers license before graduating High School, Aaron has a long history of working in the Finance and Real Estate markets. Originally starting on the operations management side of the business, Aaron switched to origination in September of 2012. Now as an Area Sales Manager for a leading mortgage company, he leads the #1 branch in the company. In 2016 & 2017 he was on the list of Top 1% of Lenders in America, and was a 2017 Top 40 under 40 Most Influential Mortgage Professional in America. Moving forward Aaron still continues to originate loans through referral business and his YouTube Channel which has over 300,000 views. His branch continues to grow and he is focused on making sure his originators continue to increase production in today’s market with unique strategies, teaching CE classes, and superior knowledge of guidelines and products available. In his free time he is an avid cyclist, fly fisherman, and horrible golfer. His wife and 2 children reside in the Ken Caryl area of Denver.